The community of Cypress River Plantation sits along the Intracoastal Waterway, slightly west of Surfside Beach. An extraordinary neighborhood of 500+ custom-built homes and oversized lots, it has 24 hour security gates and offers an eclectic mix of home styles. Read more about Cypress River Plantation real estate. There is so much to love about this development. It is only 5 miles from the beautiful beaches at Surfside Beach. The area is boat and golfcart-friendly. Residents have a private boat landing with boat and RV storage available. The community clubhouse offers a screened porch and 2 fireplaces. It also has a fitness room, a playground, a large pool and deck, a kiddie pool, basketball and tennis courts. Children attend the St. James School District in Horry County. Great shopping, dining, and entertainment opportunities are just minutes away. Homes tend to be large estate show-pieces, with prices from around $350,000 to over a million with direct Waterway lots. There are also quite a few brand new and "to-be-built" homes where you can choose your own upgrades. The sooner you find Cypress River, the better! 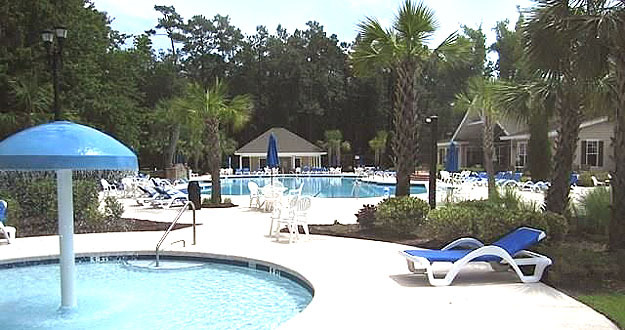 This community offers a safe and serene place to raise a family, the fantastic location for a vacation home, and is just minutes from all of the fun and excitement of Myrtle Beach. Looking for the perfect retirement home or investment property? Cypress River fits any requirement. If you would like to know more about the homes for sale in Cypress River Plantation, call us today and schedule a private tour. Let us help you find the home of your dreams.